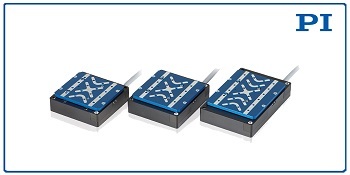 Motion and nanopositioning industry leader PI (Physik Instrumente) L.P. introduces a new family of high dynamic linear stages to its PIMag series – the V-52x. 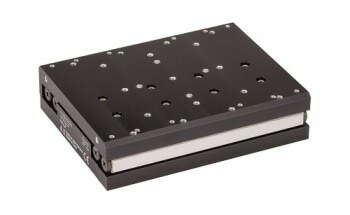 Equipped with a linear encoder for direct position measurement and choice of cable exit direction, these stages are ideal for industry and research scanning applications, such as biotechnology, laser beam control, optics scanning, lens testing, and fiber optics. With travel ranges of 5mm, 10mm, 20mm, and a maximum velocity of 250mm/s, the frictionless drive of the V-52x series ensures high accuracy and long life. 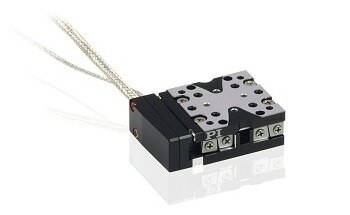 An integrated optical linear encoder and precision crossed roller bearings with anti-creep cage assist provide high positioning resolution and guiding accuracy. With very low moving mass and no moving cables, the PIMag magnetic direct linear drive results in high scanning frequencies to tens of Hz while not being subject to wear and tear. PI offers in-house engineered solutions with over 4 decades of experience working with customers to provide products that meet application demands, and can quickly modify existing product designs or provide a fully customized OEM part to fit the exact requirements of the application. Fields of applications include metrology, photonics, medical engineering, precision scanning including optics and seminconductor applications.